If you know what you’re doing, a better tool can make a world of difference. 1. Interface Design (your current system is ugly). This is an area that is often cited as a primary driver for change. A lot of LMS interfaces haven’t been updated in a decade! Meanwhile, LMS users have become accustomed to many great interface designs, whether it be through social networking, personal apps on their phones or tablets, etc. In short, end-users are far more experienced than they were in the early 90’s and expectations for great design are much higher. 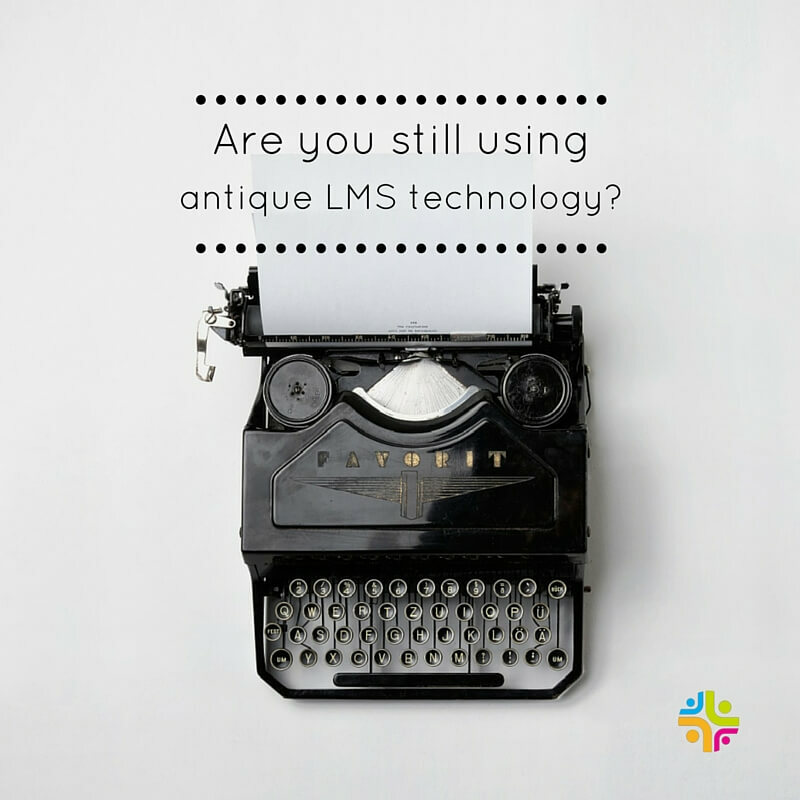 If your LMS is looking very 1999, it’s time for a change. Here at Blatant Media we have always recognized the importance of design. Great design engages a learner and draws them back in. Great design reflects on the quality of YOUR brand. Great design is also an important subset of ease-of-use, our primary area of focus. 2. Ease of Use (you spend way to much time hunting for buttons). Too many software vendors create a product with only one goal in mind: to make money. They often start by choosing a product category and then proceed to list out all the features that they need to build in order to enter into that market. Their developers are then given a list of items to build and the marketing department is able to list a bunch of features that will get them in the door. The problem is, if ease-of-use is not the primary goal, then they end up with a hodge-podge of features on the front-end, and “spaghetti code” on the back-end. If you find it takes ages to manage content, learners, certifications and other settings in your LMS, it is definitely time to look at other options. Absorb LMS has always been based on ease-of-use, and that is still the #1 reason that people select us. We have been proven to save clients up to 12 hours a week on general LMS administrative tasks, compared to other LMS offerings. You can see for yourself by trying a free demo. 3. Mobile Support (all your learners have smart phones, but your system is dumb). – Apps used for general access to the LMS tended to have limited functionality and a different look and feel than the web/desktop product. This creates user dissatisfaction and confusion. Supporting a wide variety of Operating Systems (iOS, Android, Windows) also adds to complexity of deployment and support. – Mobile landing pages also tended to offer a stripped-down and different user experience. Interfaces that used Flash (like we used to, many years ago), would not work with Apple devices. About 4 years ago we recognized the importance of providing a unified user experience accross all devices and platforms. We overhauled our entire user interface and replaced it with a tile-based, repsonsive HTML5 interface that auto-adjusts to different screen sizes. This has now become the most accepted method for providing proper mobile support for web applications. Unfortunately, many LMS vendors had already bet on the App approach and are slow to catch up in this area. By the way, we do offer apps, but our philosophy is to build apps that add value or create shortcuts for common tasks. Stay tuned for future announcements in this area. If any of these items resonate, then maybe it’s time you see what’s new. You should end up with a system that is faster, easier to use, and better looking. We’d be happy to show you what a contemporary LMS looks like.